The 36-year-old was forced to quit after a disappointing Asian Games campaign last year. 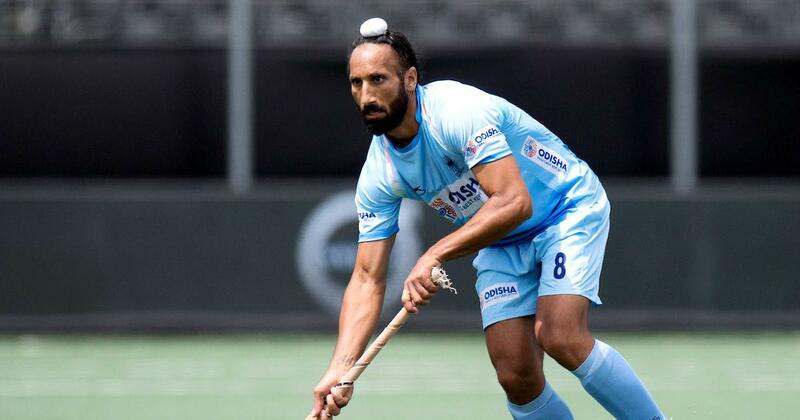 Former captain Sardar Singh has been included in a 13-member Hockey India selection committee, to be headed by BP Govinda, a member of the 1975 World Cup winning team, PTI reported. Sardar, who wanted to continue playing till the 2020 Tokyo Olympics but was forced to quit after a disappointing Asian Games campaign last year, confirmed the development. “Yes, I was offered the role and I accepted it. It is a new challenge for me and I am always eager to serve Indian hockey in any way I can,” Sardar said. The selection committee also includes Harbinder Singh, Syed Ali, AB Subbaiah, RP Singh, Rajnish Mishra, Joydeep Kaur, Surender Kaur, Asunta Lakra, High Performance Director David John and chief coaches of the senior men’s and women’s teams. Having been on the other side of the pitch just a few months back, Sardar very well knows what it takes to build a team and pointed out that any day he would prefer experience over youth. “I have been player for the past two decades and I know what is important for a team. Youth can never replace experience. What I feel is that any good team is a balance of youth and experience. Look at Belgium,” he said. Harendra Singh had a major role to play in reviving Sardar’s career and the former captain said the sacked India coach wasn’t given enough time to prove his worth with the senior national side. “I think it was not a wise decision. Harendra bhai is one of the best coaches of India. I think we didn’t give him enough time. In the 4-5 tournaments with the senior side, he managed 3 podium finishes for India. I think any coach needs at least four years to build a team and get desired results,” Sardar said. Sardar said with no one at the helm, the Indian men’s hockey team is now in a no man’s land with the Tokyo Olympics 18 months away “We have to go through a difficult Olympic qualifier and any new coach will take at least 5-6 months to get his footing. With a new coach there is always the risk of adopting to a completely new style of hockey,” he said.